Infectonator 2 is new style zombie game. You mission is to use the infected for your benefit. 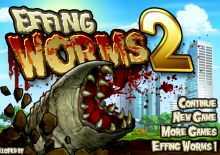 Collect money by completing each stage's objective and upgrade your weapons and zombie skills.